The following article was posted on “Firefighter Close Call” firefighter’s webpage, it reminds us that no matter how well we, the Fire Department, does its job, that early fire detection is the key to you, our citizens, surviving a fire in your home. If you have any questions, feel free to stop by Kensington Fire-Rescue any Monday evening after 7PM, our firefighters would be glad to help you in making your home a fire safe home. I still think of Saturday mornings as a cool time. Growing up it was cartoons and waffles. Then as my kids came along it was that-and then karate, baseball, gymnastics and horseback riding. These days, it’s my “Poppie” role with our beautiful grandbabies playing and having donuts and fruit. The special times continue. This morning was anything but a cool Saturday in Spearfish, South Dakota. The Firefighters were still trying to grasp the enormity of 5 dead kids. 5 dead kids. The 5 were between the ages of 6 and 11 years old, who died in a house fire this morning in Spearfish. Several other people are in the hospital. The fire was reported shortly before 0430 hours and when the Brothers and Sisters got there, it was heavily involved-fire everywhere, Regardless, the Firefighters tried to make entry when the neighbors and family members told them there were kids trapped inside…they did what they could, but with the volume of fire, there was just no way they could get in to perform a search. There is no doubt in my mind that they performed as they are expected to – but sometimes superhuman just doesn’t work. In the myriad of things that would prompt me to write about this fire is one thing in particular. It appears that there was possibly a sleepover or party happening at the time of the fire. Still awaiting confirmation on that but it’s being reported in a few different places. At least in my world, there is nothing more precious than kids. All those who agree and are in favor, say I! Good. That passes unanimously. We go out of our way to protect these little folks who we adore and would do whatever it takes to protect them from the world’s ugly stuff. Sometimes we can’t, but many times we can. Sometimes we are forced out of our comfort zone in doing so. Speaking to that neighbor about their brat kid. Speaking to that teacher about grades. Speaking to your spouse about how to raise the kid’s right. It’s all kind uncomfortable but this isn’t about you-this is about taking care of these little folks who we decided to bring into this world. As the kids get older, they are often asked to have a sleepover at a friend’s hours. It’s a big deal for everyone involved-from the kid to the nervous parents. After all, little Jason or Janey have never spent the night away from home. Well as soon as you worry about all the stuff you will worry about, before that first sleepover (who are these people, will she wet the bed, what kind of snacks will they have yada yada) I am begging you to worry about one more thing. Alarms. Working alarms in the house. Carbon monoxide alarms and working smoke alarms. I don’t know yet if the home in South Dakota had a working smoke alarm. But that is irrelevant right now as the facts will be out soon. The issue right now is you and your kids. Your grand kids, your nieces, nephews, step kids. Whatever-kids. Make it a life priority of yours that you will NEVER leave your kids anywhere-in particular a sleepover without making sure that the smoke alarms work. As them to test them for you. Yes. Really. 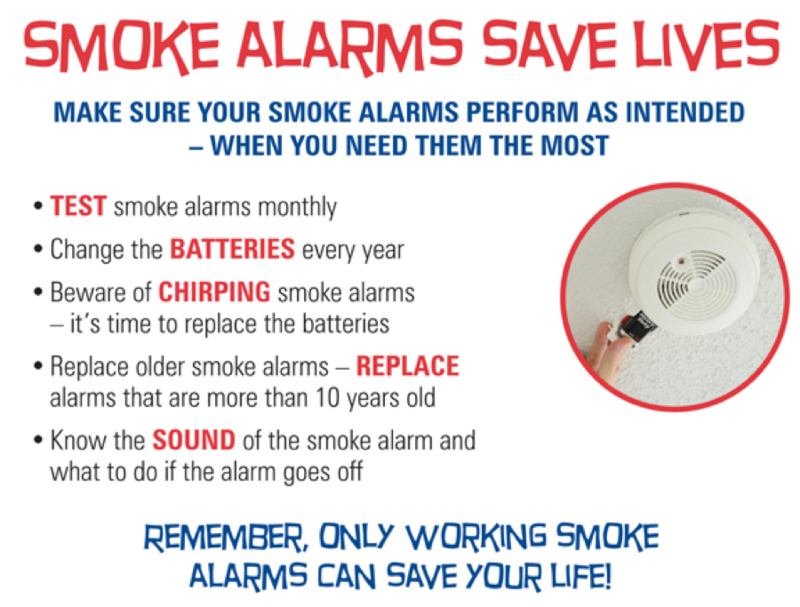 Smoke alarms provide an early warning of a fire, giving people additional escape time. 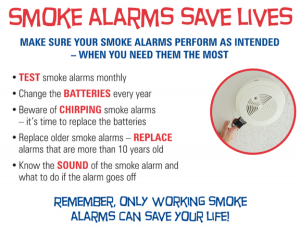 In 2009-2013, smoke alarms sounded in more than half (53%) of the homefires reported to U.S. fire departments. Three of every five home fire deaths resulted from fires in homes with no smoke alarms (38%) or no working smoke alarms (21%)…often with the batteries missing (see below). 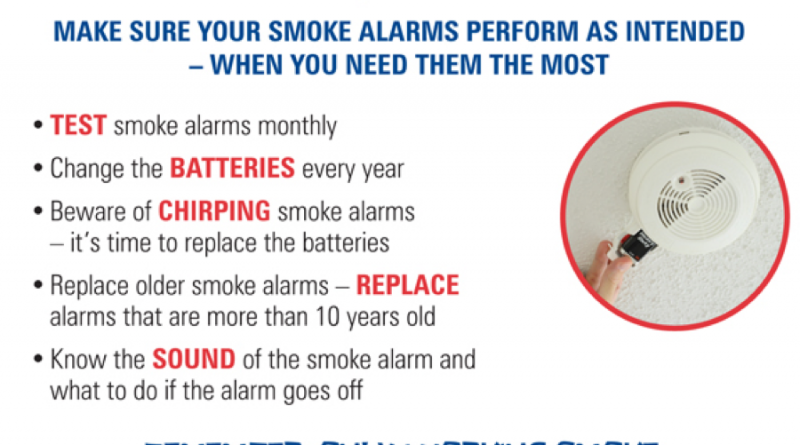 So what kind of smoke alarms should you buy? Many fire organizations recommend the use of photoelectric or a combination of both ionization and photo-electric smoke alarms. According to experts, the photoelectric alarms are less likely to sound nuisance alarms so because of that are less likely to be disabled. I could go on all day on this subject but I’ll wrap it up. Smoke alarms. Working smoke alarms. No different than you will make sure that the kids have a tooth brush, a special pillow, pajamas and a stuffed animal-you also must be sure that they are staying in a home proven, working, smoke alarms. It may annoy the relatives, the friends, the families. Odds are you probably annoy them anyway. So continue that tradition and annoy them so that you will sleep well that night and your kids will wake up the next morning.